AsOne don’t just build what you ask for, we develop exactly what you need to succeed. A business is nothing without customers, AsOne know how to reach and retain them. In the sexual health marketplace, a great digital presence is crucial. Some customers may be embarrassed to speak on the phone, so having a place where they can garner some initial information anonymously can be really helpful in putting them at ease. 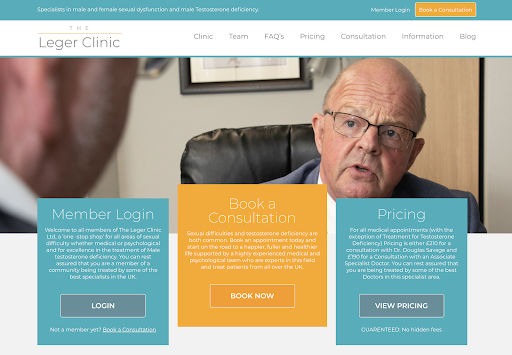 Building a membership website for the Leger Clinic allowed us to build a site that was accessible to all, but it was also easy to ensure that only paying customers received attention from the doctors. 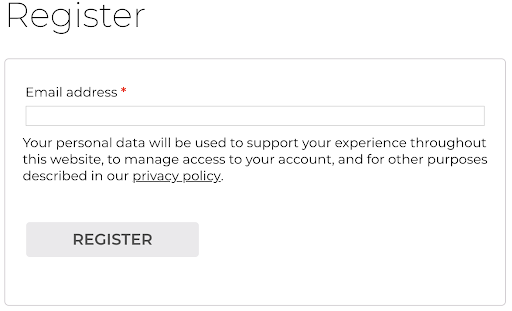 Within the membership website, we added features which allowed a patient to talk to a doctor, book an appointment and manage their membership all from the comfort of their computer. On the public site, we were sure to communicate reassuringly with potential customers; by including an extensive “Frequently Asked Questions” section, we were able to establish a positive relationship with the user early without conceding too much expertise. Positioned in a generally – although not exclusively – older market, ease of navigability on the site was imperative to our success. Clear navigation bars, large buttons and effective colour contrasts were some of the ways that we designed to membership website to be as easy to use as possible. Additionally, using simple and clear language throughout the site improves the accessibility of the brand. The membership site was built with the capability to offer two tiers of membership. This gives the Leger Clinic the scope to either expand and diversify their business model without needing to rebuild the entire site, or offer limited time discounts on membership packages. At AsOne, we believe that it’s not only our job to provide a solution to the question you ask, but to look ahead, and lay the best foundations for work you might wish to undertake in the future. Finally, we understand that a more holistic and proactive strategy is required for digital marketing, and as such we integrated the membership website with an eMail marketing package, which sends appointment reminders and quarterly catch-up messages to all patients and members. Particularly in the healthcare market, maintaining a long-term relationship with patients is crucial, and our system ensured that the Leger Clinic was able to do so. If you’d like to talk more with us about how the work we did here could be relevant to your digital marketing job, please don’t hesitate to contact us. We believe that being honest, ethical and direct is the surest path to effective and meaningful communication. Every award we achieve is accreditation of our commitment to excellence and improvement. The ultimate winner of all our endeavours is you!